Hi again! 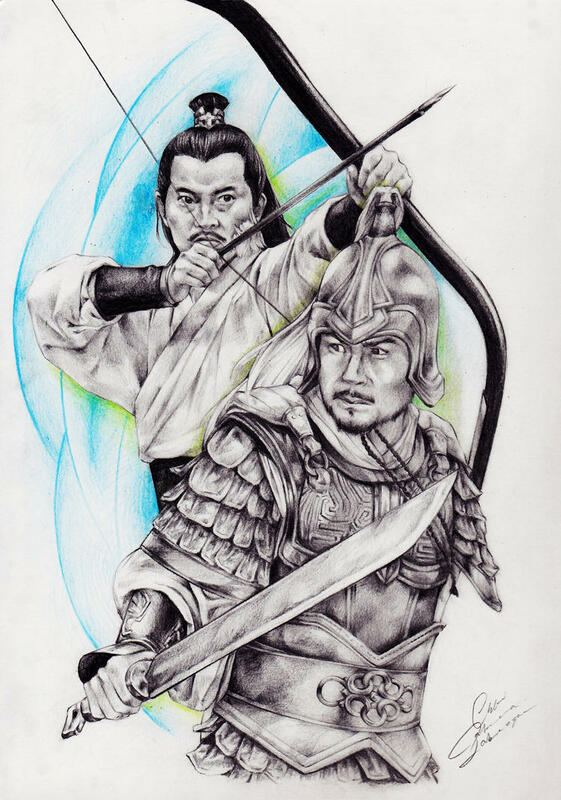 So here it is, my first drawing of the Three Kingdoms 2010 Tv series. I know that I didn't get his eyes right, but I ended up at a stage when I couldn't erase anymore. So... of course, I had to draw Kongming first since he's my favourite, but now that he is done, I don't really know who to draw anymore since Three Kingdoms have sooooooo many characters that I adore . I know that there is a request thread, but it's length discouraged me... well, I'll go take a closer look if no one as a request in my post. Since I'm new in the RTK fandom, I've only see the television serie and I'll only do fanarts related to it for the moment. Wow. Just wow. So impressive! I want you to draw everybody! Who's your second favourite character? I'm a huge fan of Lu Meng -- would you consider drawing him? Look fantastic! Everyone here has their own favourite character that if you give them a choice they'll request, for example, my shout is for Sun Ce. Well I don't have a second favourite character and that is my problem here. There's too many people in that show I love . Between Lu Meng and Sun Ce, I have to say that I prefer Lu. Since both are from the Wu kingdom, maybe I should think of a concept to bring them together in one drawing. Lu Meng did serve in the army under Sun Ce right? Anyway, thanks for the requests! Coconut-CocaCola wrote: Well I don't have a second favourite character and that is my problem here. There's too many people in that show I love . Lu Meng and Sun Ce in one picture, that would be nice. 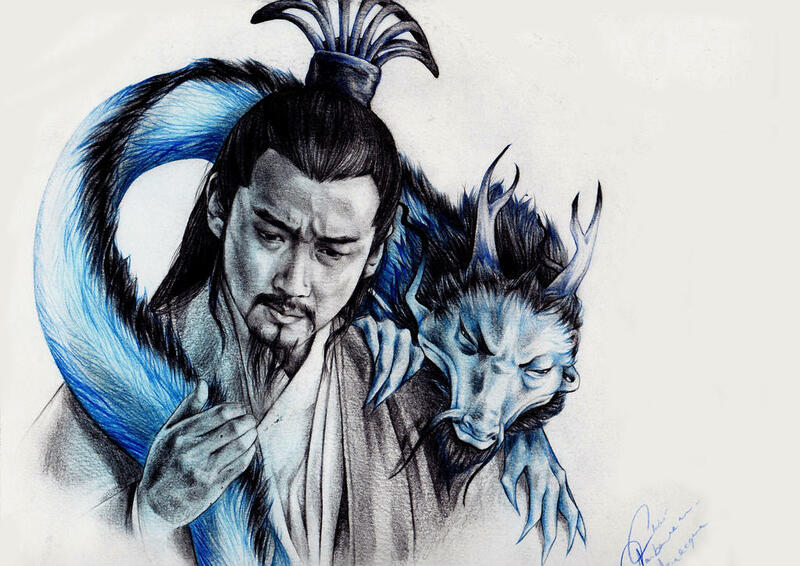 Also that picture of Kongming (Zhuge Liang) you drew - identical to his 2010 Three Kingdoms actor! Nice job. That is drawn well. Do you normally draw portraits? What kind of art do you specialize/like to do most in? And here it is! The Southlands power!!! Thanks you two and for my speciality, I guess it is portraits since it's the thing I love to do the most. But basically, I've got no problem drawing anything realistic. I'm just very incomfortable to draw without any reference . And again, don t hold your tongue if you have some requests or ideas .